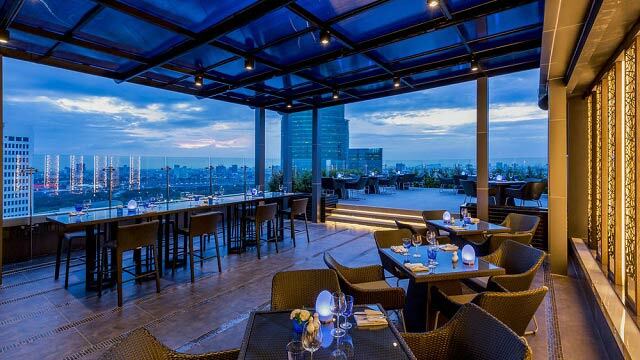 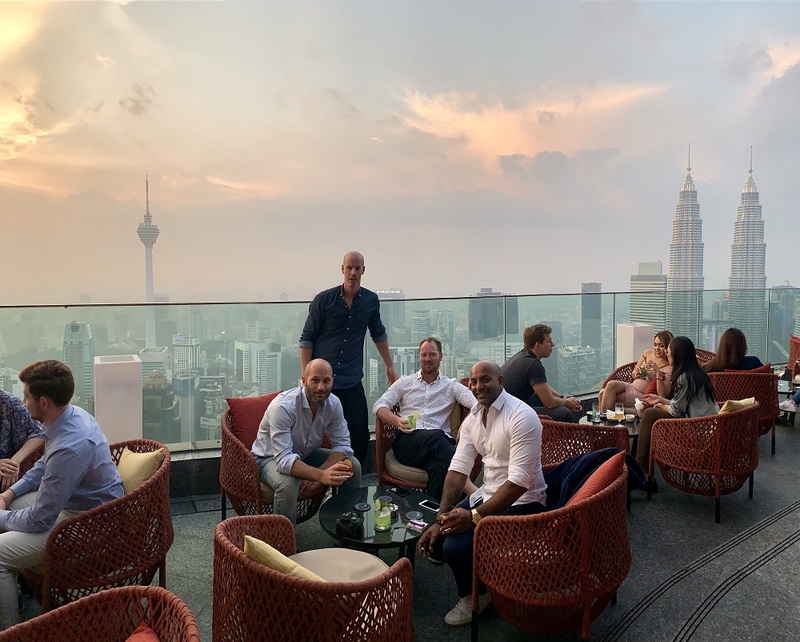 The Blue Sky rooftop bar is located in the north of Bangkok, at the five star hotel Centara Grand at Central Plaza Ladprao. 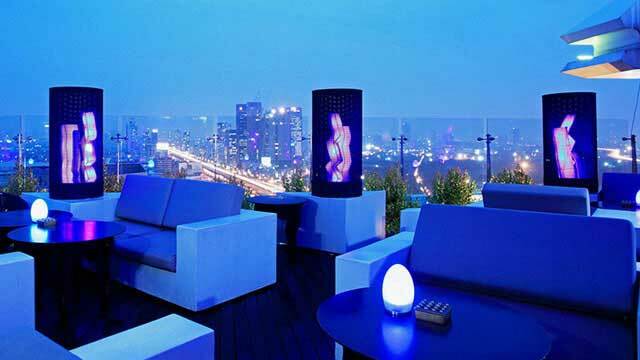 The terrace has a very modern and futuristic décor and offers seating both outside and inside. 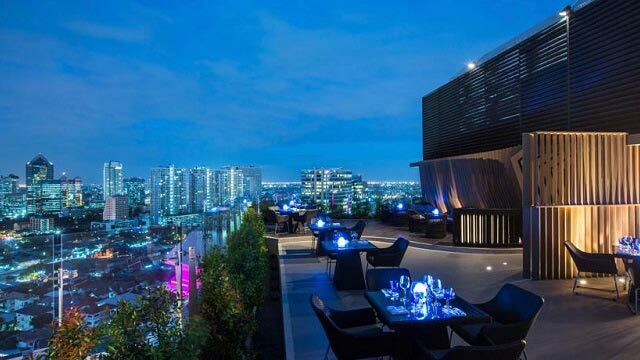 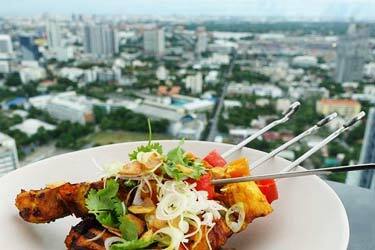 From the rooftop terrace you get an absolutely stunning view of the Bangkok skyline and the surroundings. 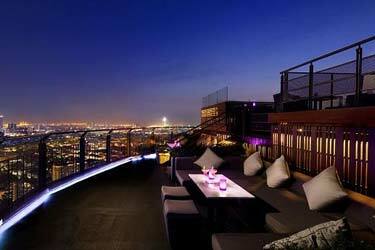 The rooftop has both a restaurant and a bar. 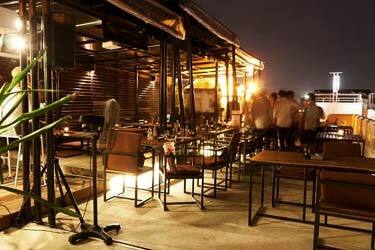 The restaurant serves European food and the bar offers a good set of cocktails and a really impressive wine list. 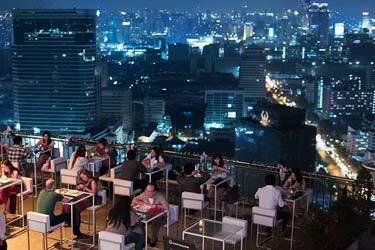 There is usually a relaxed and friendly lounge atmosphere with a moderate sound-level at the terrace. 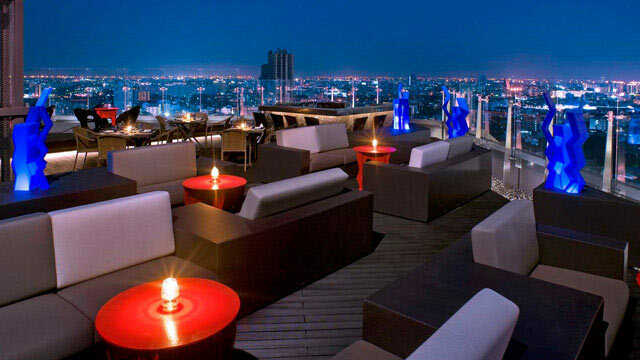 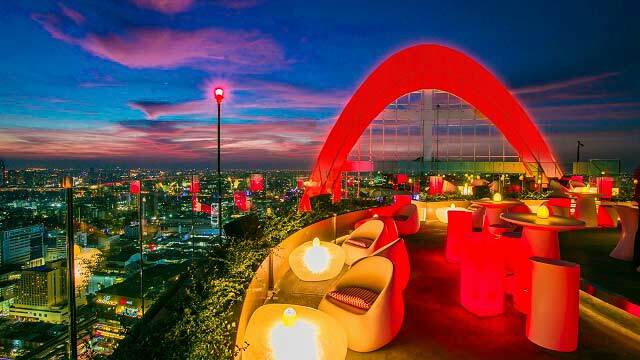 So Blue Sky Bar Bangkok is a perfect rooftop in Bangkok for relaxing with friends and family after a day of shopping. 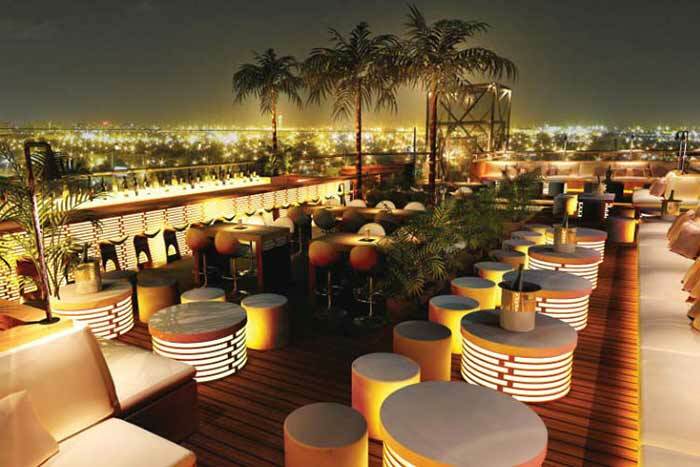 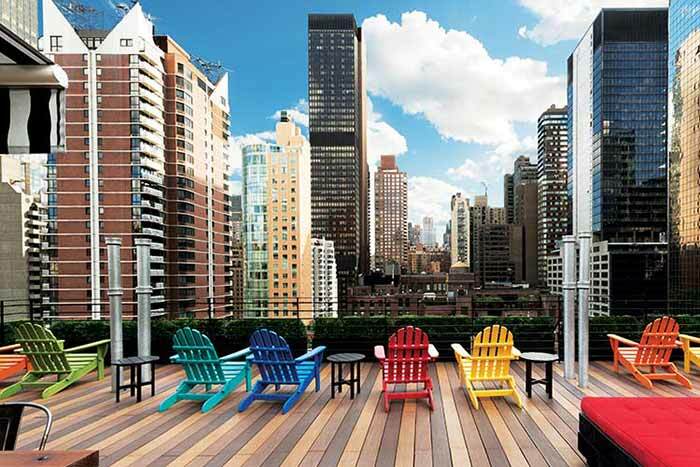 Given the location, many refer to the rooftop as Blue Sky Centara Grand. 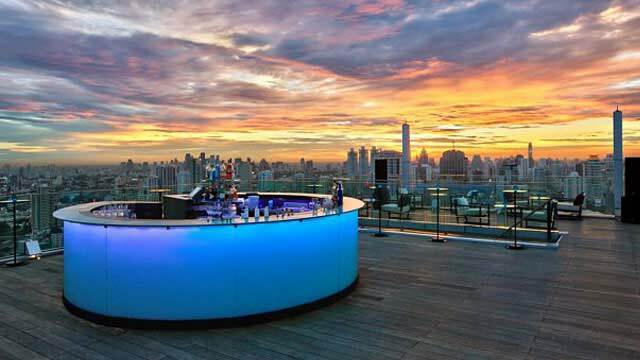 You can (and should) make reservations for the restaurant, but the bar is first come, first served. 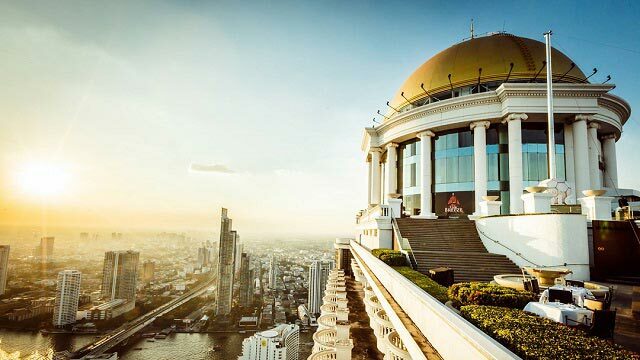 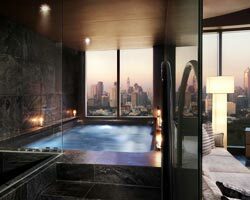 Tip: While you are at it you might as well book your stay at the 5-star Centara Grand at Central Plaza Ladprao Bangkok and spoil yourself with world class service, and a rooftop!